The EUR/USD currency pair tried to expand the trading range in an upward direction, but failed. Today the price is falling down towards the lower border of the range. 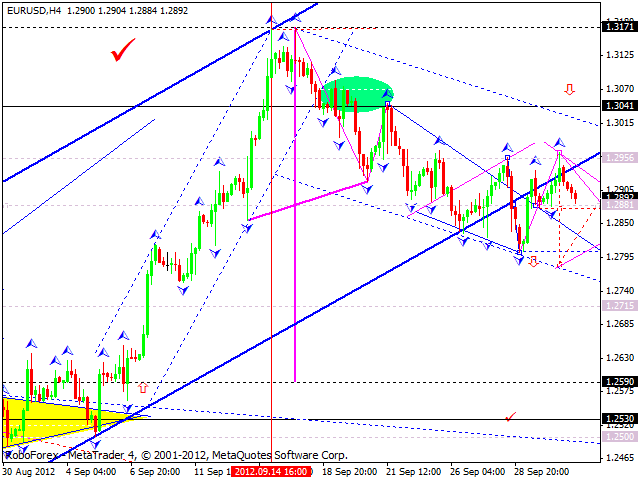 The technical picture indicates that Euro may continue moving downwards and reach the level of 1.28000. After that the pair is expected to return to 1.2880 and continue falling down towards a predicted target at 1.2715. The GBP/USD currency pair continues moving inside the trading range. Today the price may break the range downwards and continue moving downwards. We can expect equally spaced expansion of the current range and then the price may return to test the level once again. 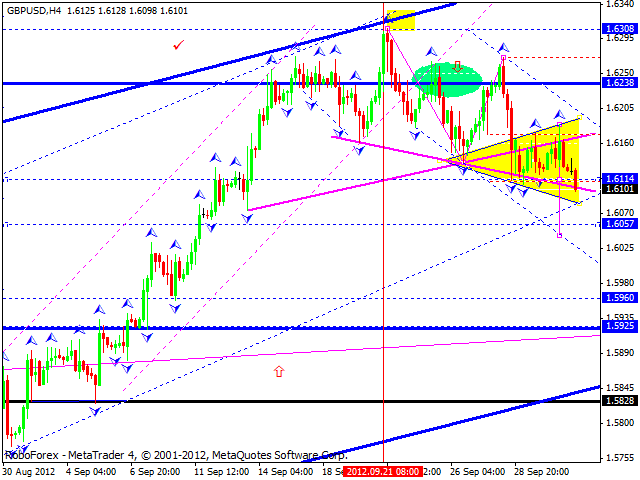 A predicated target is at 1.5960. The USD/JPY currency pair tried to expand the trading range in an upward direction. Today the market is growing up quite slow, which means that it may try to fall down towards 78. 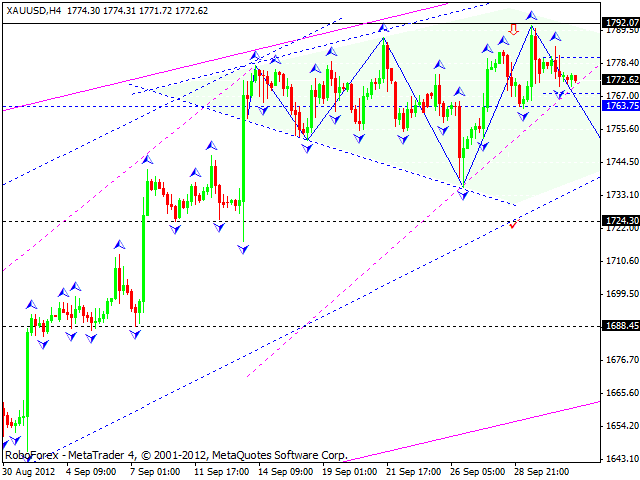 After that we can expect a consolidation and the continuation of a descending movement to reach 77.30. 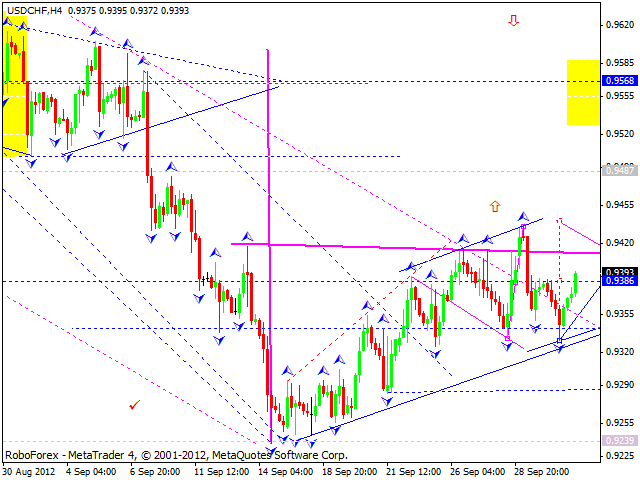 The USD/CHF currency pair continues moving inside the trading range. Today the pair is expected to grow up and break 0.9400 upwards. Then the price may return to test 0.9400 downwards and continue growing up towards a predicted target at 0.9490. 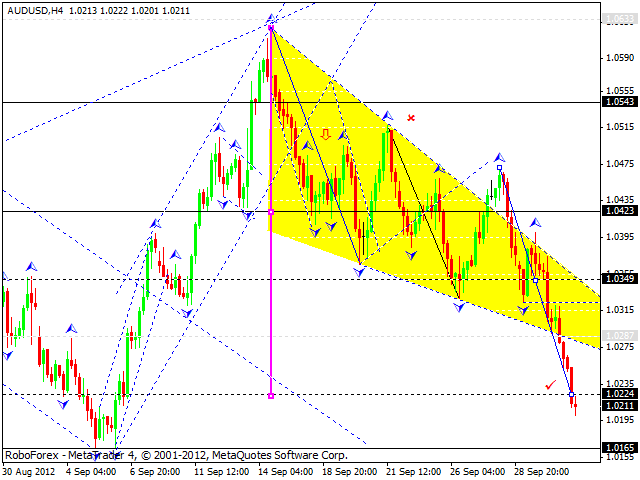 Australian Dollar continues moving downwards, it has reached the target specified earlier. Later the pair is expected to make a reverse. In order to do that, the market has to form a pivot point and an impulse. The price is also expected to return to 1.0350. 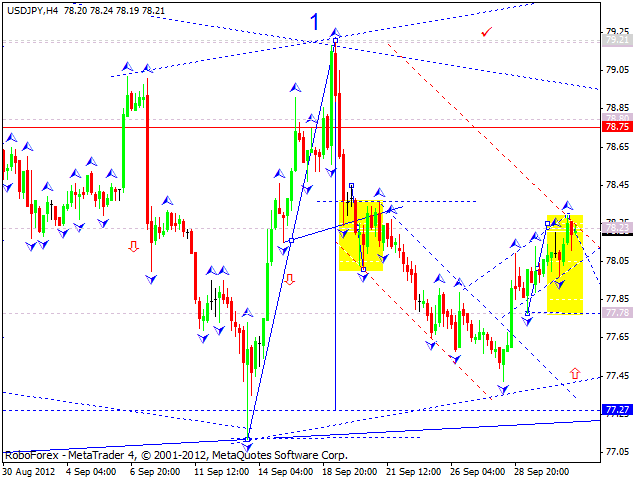 Gold has almost reached predicted targets. Today the price continues moving inside the trading range. The instrument is expected to breach the range downwards, and then to continue falling down and reach the target at 1745.